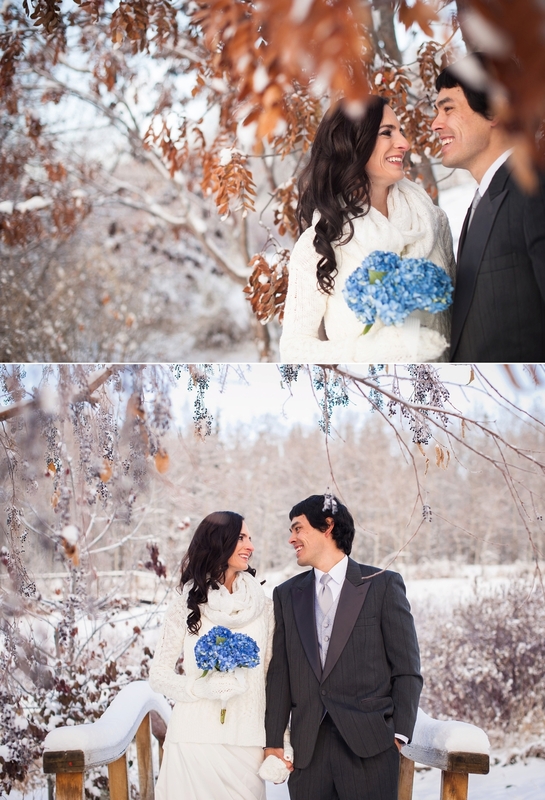 Ali and Brandon tied the knot on in the clear sunlight of a December afternoon in the beautiful University of Alaska Museum of the North. It was a tiny ceremony attended by the bride's sister (and maid of honor), the groom's best man, and the cutest ring bearer there ever was - the couple's two-year-old son, Eli. It was short and heartbreakingly sweet. The couple wrote their own vows, and they did not fall short. Brandon surprised everyone by pulling one of Eli's board books out of his cummerbund (Eli's squeal of recognition was ADORABLE) and reading it to Ali, who was doing her best not to sob off her mascara. One line I still remember from Ali's vows to Brandon was her promise to try "to always say 'have fun' instead of 'be careful.'" Such deep love was expressed that day, and I am so happy to have been there to witness it. This gallery begins with some bridal portraits Ali and I did in the days before the wedding (talk about being a trooper - we were working quickly, but still, we're talking about Fairbanks in December in a sleeveless dress! ), and the day of ceremony follows.